Best rated white elephant gifts for 2018 gift exchange! 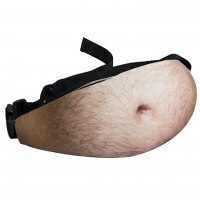 Welcome to WhiteElephantGifts.com, the official gift exchange listings for some of the latest and greatest white elephant gifts and white elephant gift ideas! We've updated the selection of these wonderful Christmas party presents for 2019, so rest asured that we still are the best source for your gift exchange shopping year after year! Did you know that the very first ever white elephant gift given to someone was an actual elephant? 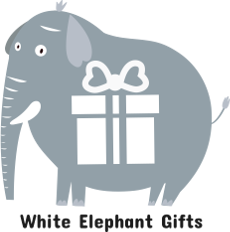 Read more about the origins of this party and gift giving trasition in the "What is White Elephant?" section. Also have a look at white elephant rules page to understand how the game is played. 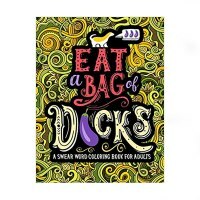 You could choose funny, hillarious white elephant gifts below and know that not only those who open it will love it, but everyone else in the party as well. Since humor is a big part of any good Christmas party gift exchange, you know that the item you have chosen will not dissapoint as long as it can make people laugh. 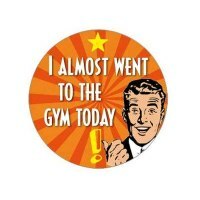 These funny and sarcastic stickers can be used to pet self on the back or to stick it to someone else. Either way, a good laughter is due and there's quite a variety there to stick one to each member of your family or friends. 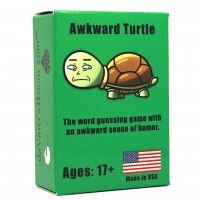 The awkward turtle game is perfect for not only awkward people but also everyone else who enjoys board games in a social setting. Will it get even more awkward or awesome? It's all up to you! 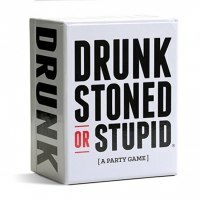 Just by looking at the title of this game you can tell it will be a good supplement of entertainment during your next party with friends or family, especially if you've had a few and fit the title of the game in one way or the other. Dad bod fad is gone, but that does not mean it won't be funny to wear a dad belly. Looking realistic from afar, this marvelous gift idea is sure to raise eyebrows. Who said that only kids get to color books? 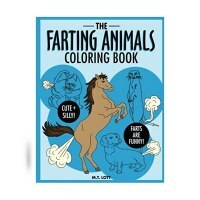 Here's one special gift idea for the artsy person in your life that has a good sense of humor and loves to color. Yet another addition to already cluttered office desk. 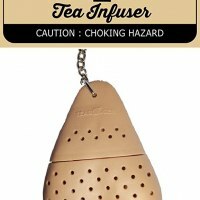 You just can;t say no to a grenade shaped silly mug like this. It's unique and would make a present worth fighting for at the exchange. 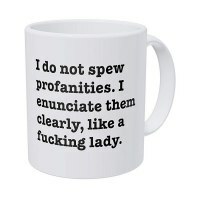 Now here's a mug that would be favored by the most passive aggressive person at work. It looks like a coffee mug with a pleasant message but there's more to that will be revealed to those who deserve it. 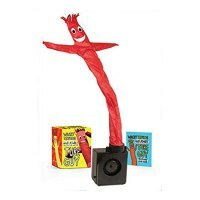 You would think that the fad for the whacky inflatable tube guy would die down, but no, it's still going strong and people love it. Would make a perfect gift for attracting attention at home or at work. 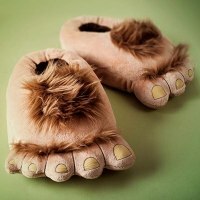 Whether you believe in the sasquatch or big foot does not matter, because you can still feel like one and look like one by wearing these silly but comfy slippers. A mug that will set any office dweller apart from everyone else. You can't get yourself in trouble with with HR with this one, because you ARE the trouble. 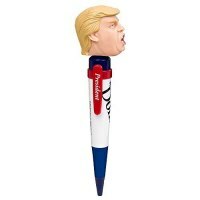 Politics is all the rage these days and regardless of which camp you belong to, you have to admit, a pen with the president's head on it that talks? Priceless. 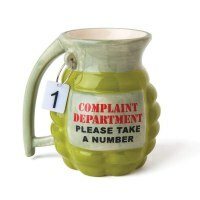 A great office or a home gift idea to consider. A hairy nutsack is the last thing that should be on your mind when enjoying your daily tea and crumpets, yet this tea bag concoction would beg to differ. 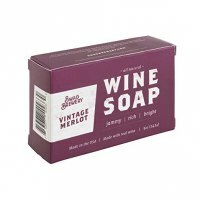 Wine lover and a connoisseur is not a term you would use for someone who downs a bottle a day to make the sorrows go away, but GAG soap will quickly peak the interest of the Christmas party. What are some of the best white elephant gifts that are fun and eveyone wants them? Something that starts heated rivalries and prompts exciting gift swapping frenzy that light up the entire evening? What could you buy and bring to the party that would be considered the perfect white elephant gift and a top gift of the night? The answer is simple: you have to choose something either so bizzarre and embarasing that everyone would want to have it as a trophy, or buy a useful white elephant gift that is not only practical, but also fun to own. With all the great options available online with the added convenience of not having to go anywhere to buy something to bring with you to the Christmas party, why would one want to o anything but shop online? We already do lot of out Christmas shopping online for family and friends, so adding an elephant gift to the shopping basked makes a lot of sense. You save time and hassle as well as have bigger selection than what we could find in any specific store. While this all makes sense, there is one area where online shopping will not be necessary. This is when the group has agreed to eexchange creative and funny white elephant gifts that were home made. Not everyone has time for DIy whie elephant gifts, but those who do, put extra effort into it and the results often show. For example, a caricature of the boss is often a very very hot item during the office party. So if DIY is your think, clever gifts can be made at home that will rival and beat any other presentat the exchange. On more but not last benefit of turning to your creative side and busting out the crafty project yourself is that it can cast to next to noting to make it yourself and if time is not an issue and you want to have a cheap whiet elephant gift idea, the posibilities are endless. Often it is hard to decide where the boundary line ends for what's appropriate as a gift to bring to a white elephant gift exchange.It's easy when it comes to family or friends, but when it comes to the office party or a corporate event, we must show a bit more consideration. Staying safe means buying something that's funny but not inappropriate, but that might be limiting if you know that your paricular work culture allows for some vulgar, filthy and inappropriate gifts. The simple rule to follow is: if you have a feeling that a particular gift may not go over well with the management or HR, it's a good idea to abstain from it, however if you have always wanted to ge fired in style, there are always great GAG gifts that could put you in hot water. But not all GAG whiet elephant gifts are inappropriate, some are a good prank and well suited for even the prudest corporate events. It's fair to say that as long as you do not bring something exrememly shocking, most white elephant gift ideas for work will work just fine! 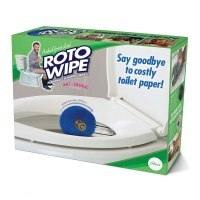 In the end, whether you opt to buy a serious white elephant gift, or go for a GAg item, there are a lot to choose from. Most of the time pranky, GAG ideas are qute fitting, but other times it's worth considering stepping up the game and researching what's currently trending in terms of novelty gadgets and maybe try and find something that exceeds traditional white elephant expectations and going above and beyond with an awesome white elephant gift that's so cool that you might actually buy an extra one for just yourself! One question we often get here on our site is: "Do I have to buy unisex white elephant gift"? The answer is - No, not really. The whole point of this gift exchange is not to have everyone "win" so to speak and have something that they love receiveing. believe it or not, when it comes to the gift exchange, there are some sour smiles to be had. This is why you should not concern yourself too much with the idea that all gifts should be appropriate for any gender. It's OK not to buy a unisex toy, but if you do choose to, there are fortunately many options. The only time when you want to tone down the naughty factor aside from some corporate events is when you are buying white elephant gifts for kids. Gift exchange is one of the most favorite parties that youngsters love to join parents, so it is important to keep that in mind when setting the game rules and expectations. You should aim to have adults only party or ensure that the gifts brought by the guests will not be inappropriate if children will be playing. Some of us, whether we like it or not will get overwhelmed by all the Christmas and holiday cheer, or should I say chores? When this happens, it is possible to forget to buy and wrap your present in advance. There you are jsut a day or two before the party when you realize: "Wait! I had to buy a white elephant gift and i still have not done so!" That's when you can skip all the creativity, and find an easy white elephant gift that you can buy and wrap as soon as possible. Last minute whiet elephant gift ideas can be easily picked up in local stores, but can be also ordered online. If you are in a rush and there is Prime shipping available in your area, you will be the lucky one to still make it, and if not - you will have to check the local stores for something appropriate. In the end, let's not forget that white elephant gift exchange is all about celebrating the end of year, having a good time and having a good laugh. Do not let the gift shopping or swapping frenzy overpower the true spirit of the yearly favorite event! Try to have and give as much positive experience as possible!